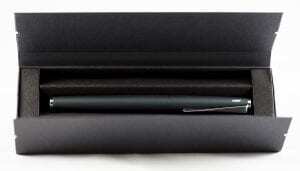 I once bought a Lamy Studio and it was one of the biggest disappointments of my (fountain pen) life. My advice: never buy a pen with rubber parts. 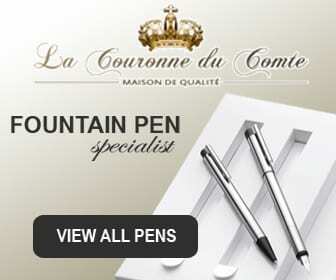 At first sight such a fountain pen looks good and grabs very well. But you often regret it because rubber works, falls apart or becomes sticky in some cases. My Lamy Studio with the rubber grip became sticky and very dirty. That’s why I stored it far away and I can’t use it anymore. I personally find this a shame, because it is a beautiful pen to look at. 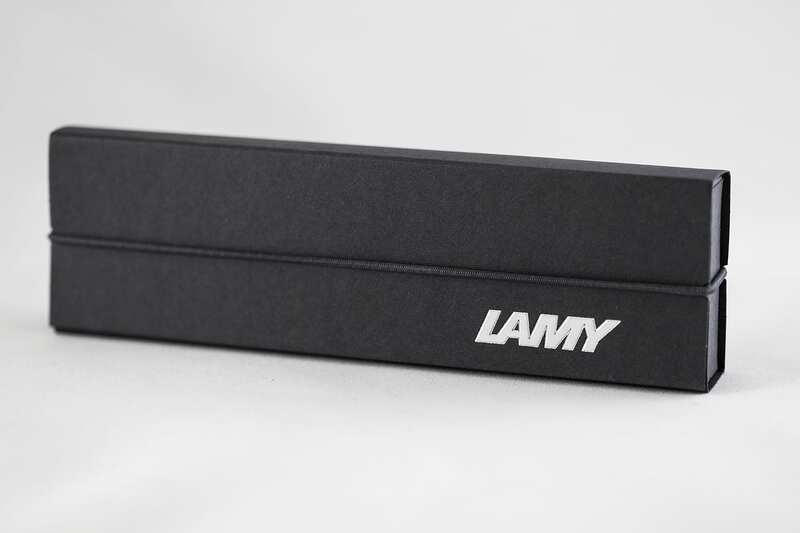 Luckily the new Lamy Studio is now available! Luckily this new Lamy Studio has no rubber parts. And what is perhaps even better is that the Studio is available in more than just black or metal. I am a bit done with boring and predictable colours. Do something crazy! The choice remains limited to the, although very beautiful, but not very surprising, green and blue metallic paint. The paint is very special however. It looks like the colour green is mixed with black in a way that depends on how the light enters the green or black dominates. 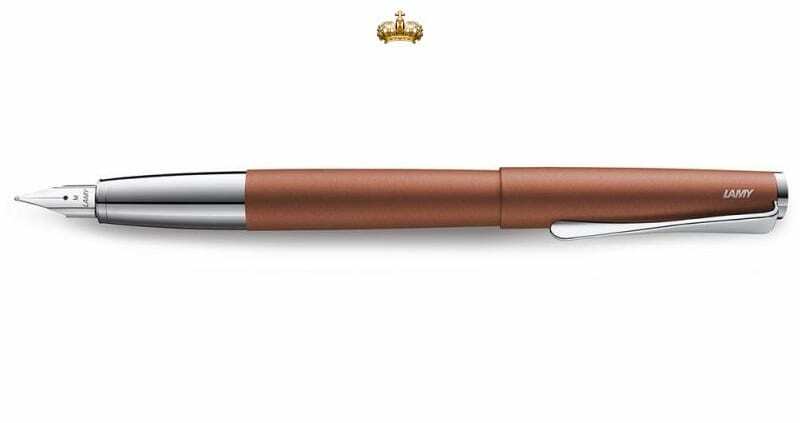 A terracotta-coloured version of the Lamy Studio has also recently become available. 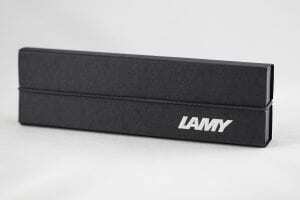 With the Lamy Studio you have a decent fountain pen that is slightly thicker than most of the cheaper fountain pens. The smooth metal part you use to hold the pen is a bit too slippery for me. You can easily click the cap on the back of the pen and write like this. With the cap on, the fountain pen is just a bit better balanced and is then nicer to write with. The nib isn’t an original design. 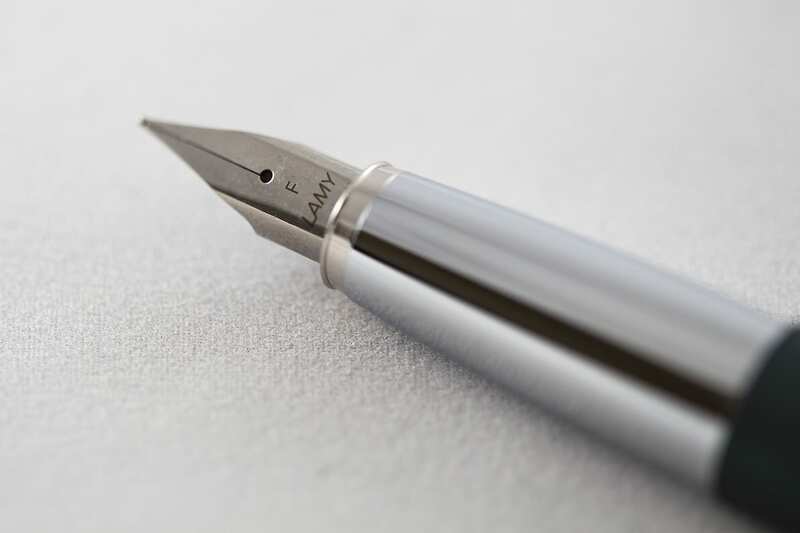 Almost all Lamy fountain pens have a similar nib. 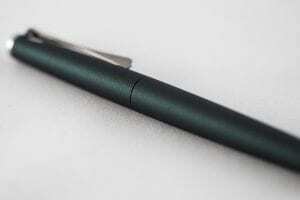 The nib of the Studio writes fine, just like all Lamy nibs. You can get the nib in different sizes and shapes. 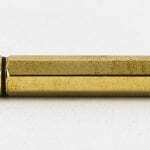 Most nibs are quite sturdy and made for daily writing and signatures. For real penmanship and calligraphy you need to order a special nib or buy another fountain pen with a more flexible nib. The Studio uses a cartridge filling system and you can also use a converter. The clip is fine, you can transport the pen in all possible ways. The Lamy Studio has a very aesthetic, beautiful and even expensive look. You have to love the clip, it is different from others because of its vertical end. But the clip works well just like the rest of the pen. In short, the Studio has a high value for money level.